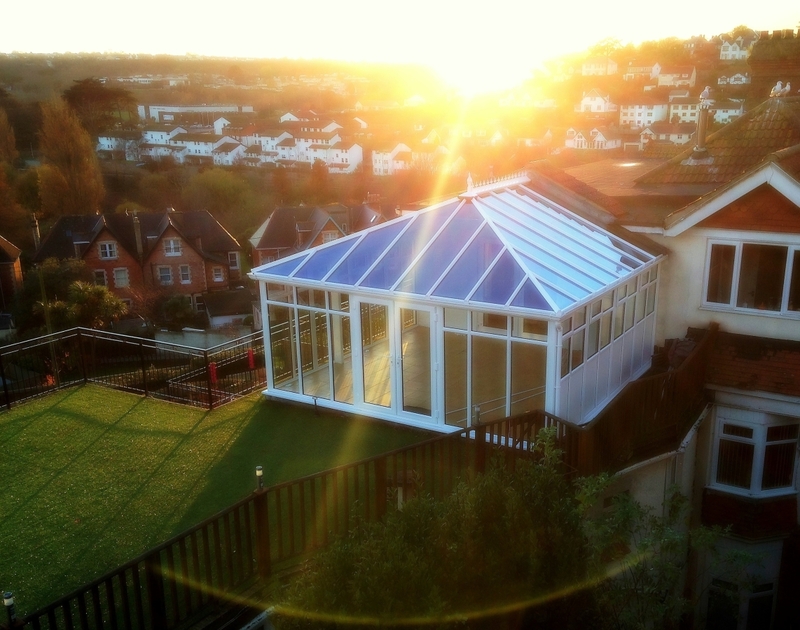 Exe Conservatory Repairs is a local company owned by Leigh and Sarah based near Exeter with over 15 years of experience in the conservatory, window and door industry. Our aim is to offer quality repairs and new products at reasonable prices with no pressure sales, just a vast technical knowledge of all of the products and services we offer. Exe Conservatory Repairs was set up after realising the need for a respected company to trade in the area offering a full repair and refurbishment service. Most other companies just offer a new build leaving people with no choice but to let their conservatories, windows and doors deteriorate. Starting in the 90’s as a conservatory fitter I quickly worked my way up through the ranks to become a very competent conservatory installer. The company I worked for was based in Exeter but covered the whole of the South of England so I spent a lot of time away from home mostly in the London area. As the company grew I became a main fitter and worked with and provided guidance to a labourer. Within 6 months we became a very successful team and had a 100% customer satisfaction record with our customer installations. This helped show my employers that I really had what it took to be one of the faces of their company. The company continued to grow and my employers quickly realised they needed someone to manage all of the installers and ordering, I was asked if I would like to be considered and following interview was offered the position. I had also recently had the good news that I was going to be a dad so being able to work nearer to home more often was ideal. The new role of installation manager came with a lot of responsibility and I knew much was going to be expected from me but I felt prepared for this and was ready to put the skills I had learnt over the years to good use. After a couple of months settling into the job role things really started to take shape and I loved my new job, arranging fitting schedules, liaising with customers, ordering all materials and maintaining a fleet of vehicles. Not long after this I was asked if I would like to take on a role in health and safety management which I agreed to straight away, I took the exams and passed them with flying colours. I also attended a course on the use of access equipment and passed the written and practical exam with 100%. Unfortunately the company started to struggle and my job was no longer safe, I was made redundant and found myself wondering what to do next... But out of every sad story comes a good one. There was no way I could just walk away from the industry after all that I had put in to trying to be the best at what I do so that’s when Exe Conservatory Repairs was started by my partner Sarah and I. Having a leaking roof on a conservatory is not just a pain, but a concern! Not so much because of the water coming in, but more that you know when you approach a conservatory company they will tell you from the outset that you need a new roof at great expense! What a refreshing change to meet Leigh who gave excellent advice on how to fix mine, and didn’t once suggest replacing it! A relatively small job I was thoroughly impressed with his professionalism, desire to do the best for me, and the very competitive price! He also got around the need for scaffolding which had been one of my biggest concerns owing to the cost. I am extremely pleased with the work that has been done, which was swift, tidy and done to a very high standard. I would highly recommend Leigh to anyone who requires a repair on their conservatory. Thanks again for your help. I would like to thank the team at Exe conservatory repairs for the professional job they did installing a new Guardian roof on our conservatory. They always arrived at the time they said they would, they made minimal mess and minimal disruption and took away all the rubbish. My wife and I are extremely pleased with the finished article and would be happy to recommend this system and Exe conservatory repairs to anyone who was thinking of enhancing their conservatory. 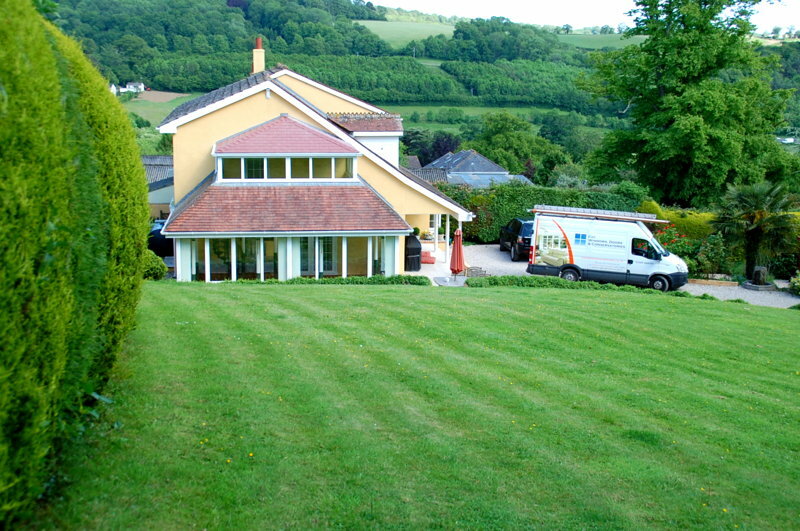 We chose the Guardian system for the way it looked and its excellent insulation. This improvement will enable us to make better use of the space all year round. We have already noticed a big reduction in the noise levels when it rains. Exe Conservatory Repairs provided an excellent service from start to finish. They gave me a range of options to choose from and there was no pressure selling at all. The advice I received was sound and the price quotations were reasonable and detailed. The work was finished to a high standard, in the time given, and the team were friendly, conscientious and hard-working. They were also very tidy leaving everything in order both at the end of each working day and at the end of the job. My conservatory leaked from the day I bought the house 12 years ago but is now, at last, water-tight and a pleasure to spend time in through all weathers. There were a couple of minor things that have needed further attention and Exe Conservatory were quick in resolving these so I can also endorse their post-job service. I recommend them highly. Help! My Conservatory Is Too Hot?